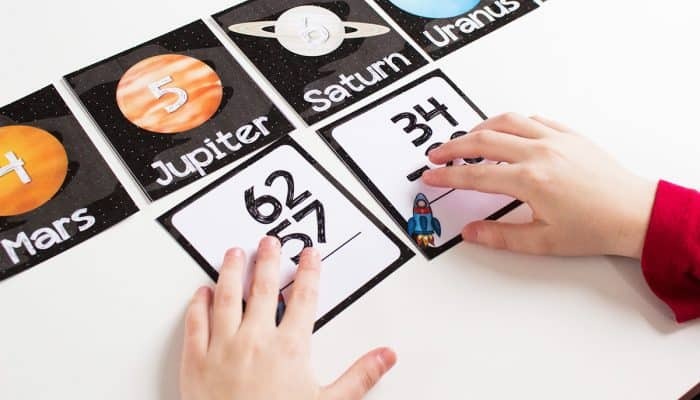 To boldly go where no man has gone before… At least that’s how I felt as I was introducing double-digit subtraction to my 2nd grader. We have leaped over the hurdle of being a reluctant reader and have soared right into devouring entire chapter books in one setting. Only to get knocked down at the sheer thought of subtraction. Since she is terrified of doing the problems in her math book, I decided to take it to a different level for her. 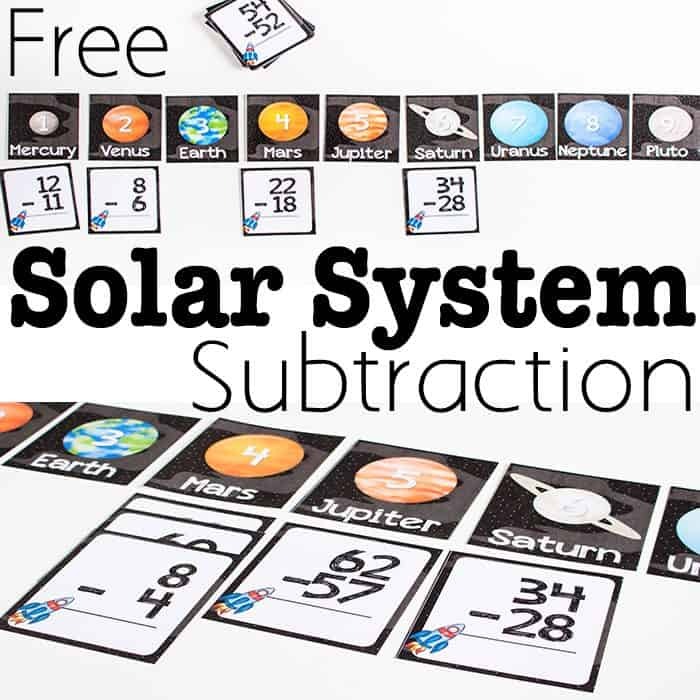 This free printable solar system subtraction activity is perfect to use for a solar system theme or for any child who loves outer space more than they love math. 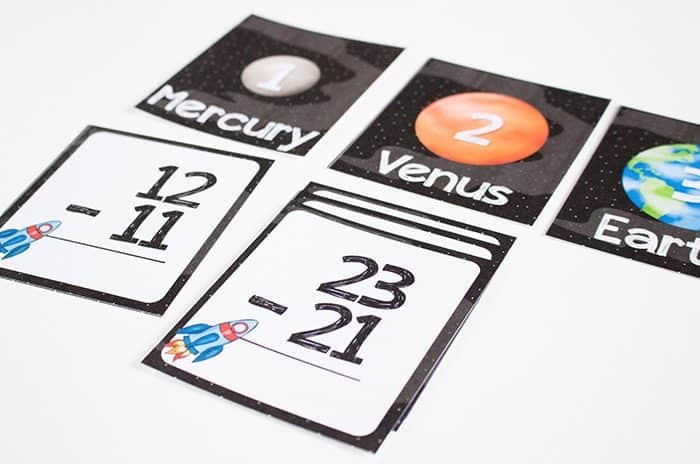 To prep: Print, laminate and cut apart the solar system cards and the subtraction problem cards. 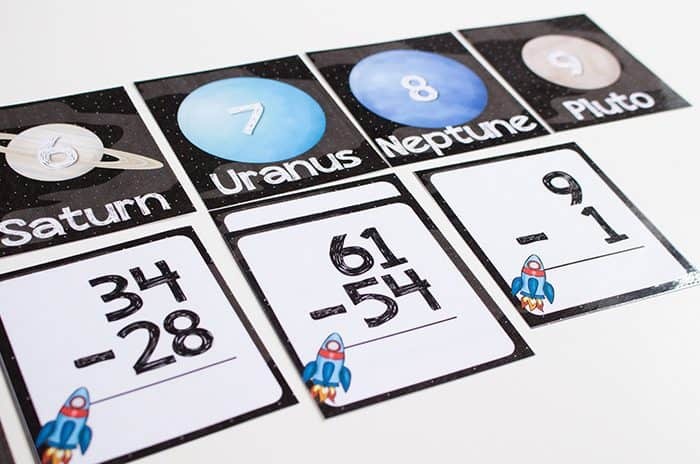 You will notice that the solar system cards are in full color. This is intended to be a print once, use a million times activity, so I feel that color is worth it. Plus, I use the HP Instant Ink program and totally love it. I never have to worry about running out of ink and it’s already worked into my monthly budget. I’m not getting paid to tell you that, it’s just been a great help to me & I want to share that help with you! 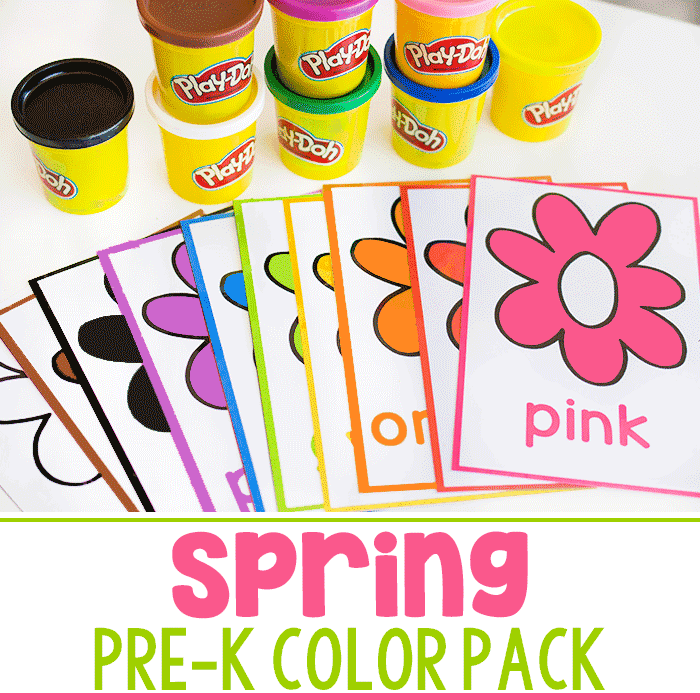 To use: There are 6 cards included for each answer. I do not recommend handing a child all 54 problems and have them solve them all at one time. For our first use, to build confidence, we started with 10 random cards. I let her choose the cards. There are 2 “easy” problems for each answer, but I didn’t point that out to her and she selected a good variety of skill levels. 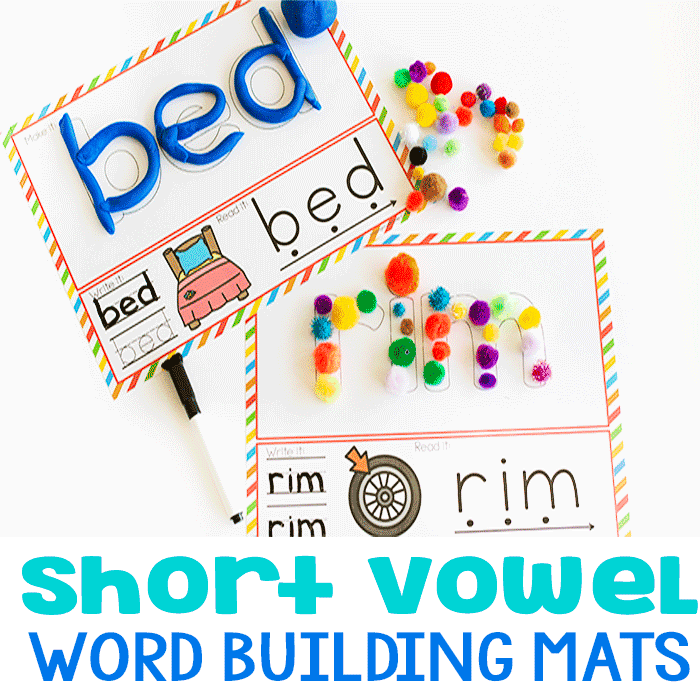 She was still counting backward on her fingers, which we need to work on, but it was great for what I intended. To show her that subtraction isn’t really that scary and she really is smart enough to figure out the answers. I had her match the subtraction problems up with the corresponding numbered planet answer cards. She got to review the order of the planets, chat about solar flares and black holes which she has been reading about all while she worked on her math. If you want a written record of the problems solved, you can just use a math notebook and have your child write out the problems that they worked on and the answers they found. 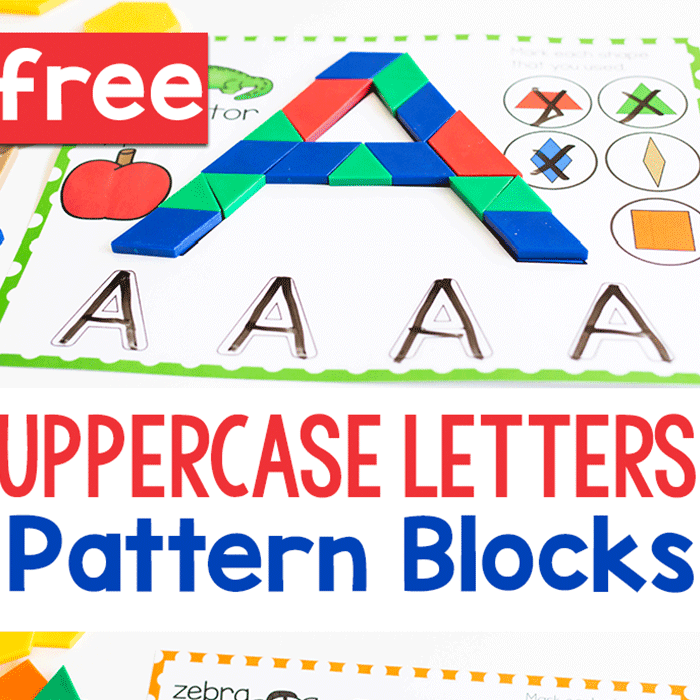 This is such a fun, clever math game!! 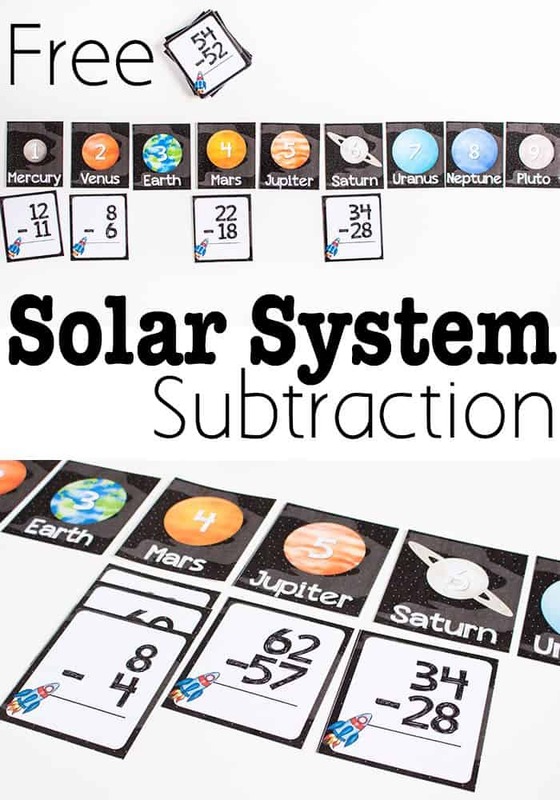 Great idea combining the solar system and math! 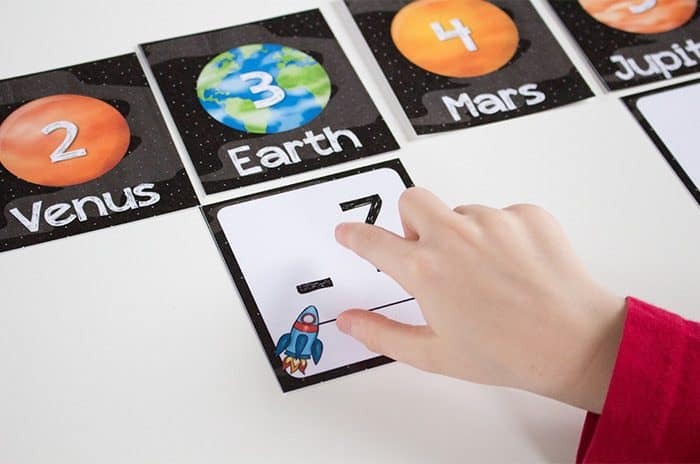 That would really make math more interesting for astronomy loving kids. Thanks for sharing!